This time around the feeling is different. Last year we packed our ice cream into lot of containers for a couple of street fairs and special events. This past weekend Izzy and I labeled a handful of pints. What makes this different is the journey it took to go from street fairs to getting our product into stores. 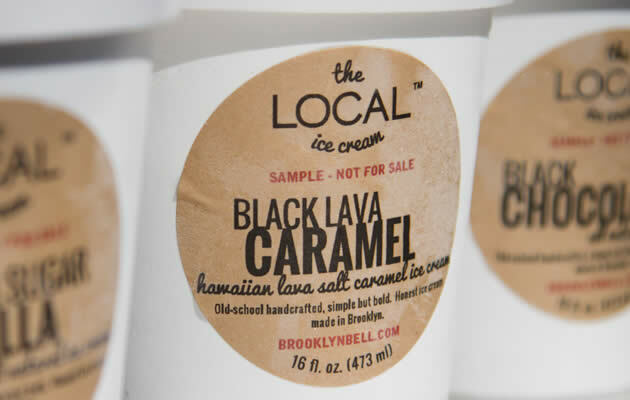 The Local Ice Cream is not in stores…yet. All the paperwork and transforming a commercial kitchen into a dairy plant has brought us to this point – labeling some pints for a couple of stores to have a taste of our ice cream. I’m pretty sure that with those first bites we will get some freezer shelf space and from there we will grow. ← I Met a Real Jimmy. Her Name Is Plucky Pea.